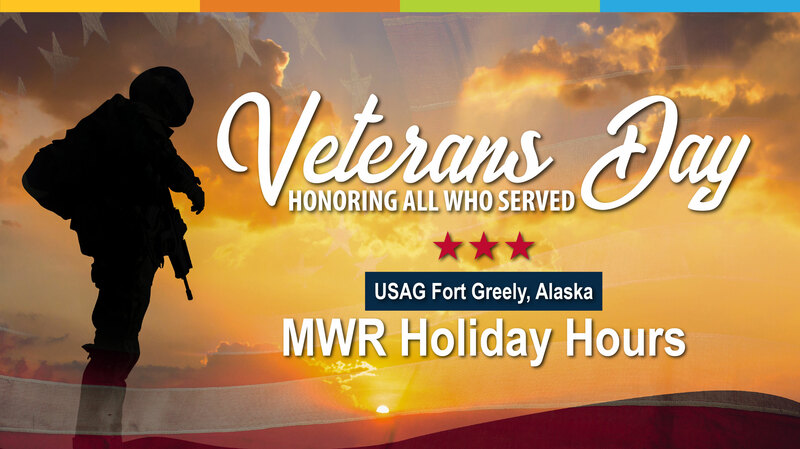 Most Fort Greely Family and MWR facilities will be closed on Monday, November 12th in Observance of Veteran's Day. Please take a look at the Hours of Operation below and Spread the word! Normal Business Hours will resume on Tuesday, November 13th, 2018.